Organic pest control methods are generally less environmentally damaging and toxic. Whenever possible, you should use the least toxic method first. There are some very effective natural pest control treatments available. The good news is, with the proper preparation and cultural practices, rarely if ever will you need to get beyond the first few levels of defense. The first step in controlling pest is to create the most hospitable growing environment for your plants. A healthy garden is the single best organic pest control treatment there is. 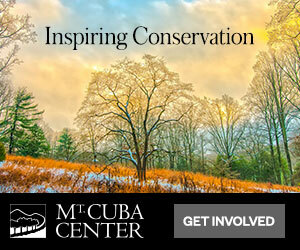 It creates biodiversity. So, without the need to apply any sort of treatment, beneficial insects are doing your pest control for you. Although beneficial insects are incredibly effective, you’ll likely have to have a bit of tolerance for some pest damage. Organic methods typically are not as fast acting, and yet can be every bit as effective as synthetic controls over time. With any pest control treatment, the first step is to identify the offending pest, and target a control method that affects just it. You don’t want to apply a non-selective chemical that may kill beneficial insects as well! There are a good number of organic options available, and some are more specific to certain pests than others. Here are some of the more popular options in order of least to most toxic. These insecticides cause the pest to get sick, are very specific to the target pest, and do not harm beneficial insects, nor are they toxic to mammals. One of the most popular choices is Bt (Bacillus thuringiensis). I use this whenever necessary to treat a number or worm larvae from hornworms to cabbage loopers, and cutworms. The bacteria in Bt paralyzes the digestive system of the larvae, and within a couple of days, the pests are dead. If there is a downside to this type of insecticide, it’s that it is not as fast acting as you might like, but it is very effective and well worth the tradeoff. These oils work by suffocating the pest. The oil coats them with a petroleum-based liquid, cutting off their oxygen supply. This method of control has been around for a long time. It is primarily used to kill the eggs and immature stages of insects. These products are very effective because they spread so well, and break down quickly. However, these oils can and do affect beneficial insects, but are less toxic to them. Oils are often used to control aphids, scales, spider mites, mealy bugs, psylla, and some other insects. These oils can harm your plants and trees, primarily leaf damage, so be sure to read the directions that come with the packaging. DE is effective against soft-bodied pests including aphids, trips, whiteflies, caterpillars, root maggots, slugs, and snails. However, DE is non-selective, and will potentially kill beneficial insects as well. 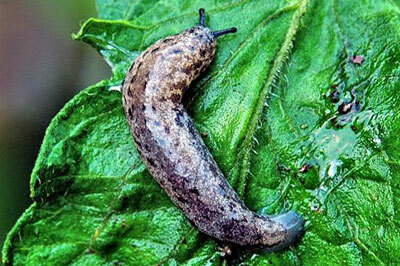 Apply DE to the soil for ground dwelling pests, and to the foliage for other pests. DE adheres best to moist foliage, so application is best early in the morning, when leaves are wet from dew, or after a rain. Be sure to use “natural-grade” vs. “pool-grade” DE. It contains additional chemicals, which can be harmful to humans and mammals if inhaled. In either case, it’s a good idea to wear a dust mask whenever working with any dusting agent. These soaps utilize the salts and fatty acids within them to target many soft-bodied pests including aphids, whiteflies, mealy bugs, earwigs, thrips, and scales. The insecticidal soaps penetrate the soft outer shell of these and other pest, causing damage to the cell membranes. They then begin to breakdown, resulting ultimately in dehydration, and starvation. These soaps can be phytotoxic to certain plants, so be sure to test a small area, before applying on a larger scale. The other downside is that soaps can be toxic to beneficial insects as well, so use them sparingly, as with any pesticide. Insecticidal soaps have not shown to be toxic to humans and other mammals. Neem is a broad-spectrum insecticide, acting as a poison, repellent, and deterrent to feeding. In addition, it also sterilizes certain insect species, and slows or stops the growth cycle of others. Neem comes from many parts of the Neem tree, which is native to India. Neem is applied as a foliar spray, or soil drench. It is used to kill a wide range of pests, including aphids, thrips, loopers, whiteflies, and mealy bugs. One unique aspect to this biological agent is it’s systemic properties. Plants take up the neem extracts through plant foliage and roots, where it is present in the plant tissue. Consequently, neem is also effective against leaf minors, which are usually not affected by other non-systemic foliar sprays. Generally, neem must be ingested to be toxic, and is nearly nontoxic to mammals. Although it breaks down quickly, you should spray neem only when necessary, and only on plants known to be affected. In this way, you will minimize the damage to beneficial insects. I recommend you go ahead and plant your garden with a plan to control any outbreaks of Leaf minors quickly. Here are a few suggestions for controlling and with any luck reducing and preventing damage to your plants by leaf minors. 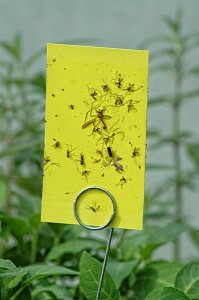 Use floating row covers to keep the flies or moths from laying eggs on your plants. Monitor plant leaves closely. At the first sign of tunneling, squeeze the leaf at the tunnel between two fingers to crush any larvae. Done soon enough, this killing larvae can allow plants to survive minor outbreaks. 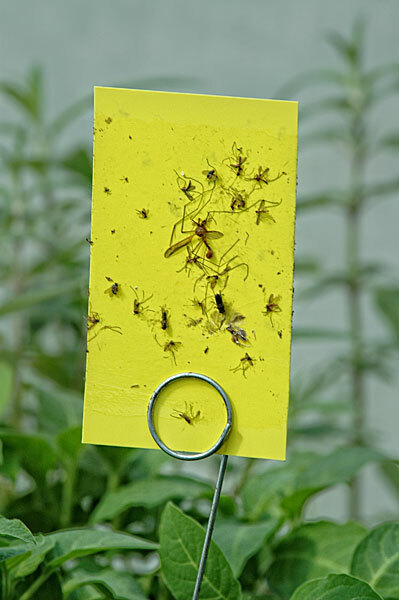 Pick off and destroy badly infested leaves.Use yellow or blue sticky traps to catch egg laying adults. 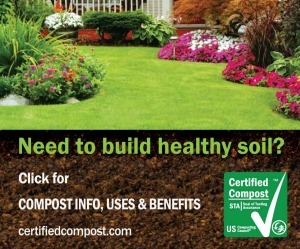 Cover soil under infested plants with plastic mulches to prevent larvae from reaching the ground and pupating. I been having issues with ground moles tearing up my whole front and back yard. It’s been really difficult to walk around without stumbling into ground moles tunnels and holes. How can I stop them from coming back. Sorry to hear about your mole problems. Moles are likely after grubs and earthworms. If you ever see one, they look as if they have big flippers for swimming through the soil. Voles will often use the same tunnels, but they are rodents and will eat roots and bark on your plants, killing them. The good news is the moles will eat japanese beetle grubs. There are Havahart traps but then you have to release them somewhere else and that won’t prevent future moles from digging. Physical barriers like fences can be effective but expensive if you have a large garden. Narcissus (daffodils) are not bothered by moles or voles. They are poisonous and the critters seem to sense this. For more control suggestions check with your local cooperative extension service. I hope this helps. Happy gardening. What kind of BT do you use to get rid of cabbage worms? The BT is commonly marketed as Dipel. 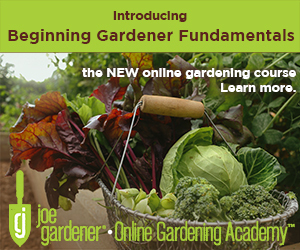 You should look for it at independent garden centers. Dear Joe , my neighbor is having a problem with white flies munching on his bamboo plants. He’s been using neem oil to try to get rid of them but it is not working very well. Suggestions welcomed. Hi Paula. I use insecticidal soap on white flies. You have to make direct contact with them though. And they are quick to fly off. So it’s tricky to control them but it is the best organic control I know. Where can I purchase BT cannot find it anymore? They offer a number of natural pest controls including BT. you put chillies and water in the blender. and then you filtered it. you suggested to use it on insects or bugs. Second you have used baking soda and water. third you have used, which I forgot. Can please give me some advise on how to take care of a Magnolia Anne tree that I planted in the memory of my boyfriend who just passed away. It is a baby tree and does not look like it is growing, the leaves are getting eaten up by bugs. I am doing what I am supposed to as far as watering it according to the directions it came with. Recently there has been new branches coming up from the soil so I must be doing something right. I put fertilizer in the soil and mulch around the tree but not near the trunk. Any advise would be helpful to keep this tree alive. There are several buds on the tree but do not seem to be growing. Michele, sometimes we try and help our plants and trees too much. More often than not, they just need time to establish before they go into growth mode. Until then, they’re just settling in and getting familiar with their new surroundings. Underground, roots need to spread out develop new roots before you’ll see anything happening above ground. The best you can do is make sure it’s planted in a good place. Magnolias like full to partial sun but not shade. The more sun the better. Watering is important in the early weeks. While you need to make sure the soil stays moist, don’t overdo it. If the ground gets too saturated, you can actually drown your tree. And mulch from right near the trunk, all the way out to at least the drip line or more– a couple inches deep. Then just monitor it and make note of changes that appear troublesome. But most of the leaves are staying on, and the leaves and branches seem to be holding upright vs. limp, then give it time to adjust and you should be fine. Lastly, as for fertilizer, I don’t suggest you do this until after the plant is established. 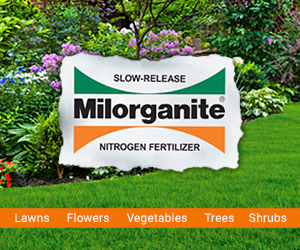 Fertilizer on newly planted trees and shrubs can often had an adverse affect. Don’t worry about it now, but don’t try and fix the problem with more. Good luck. Saw a episode where you took and apple and pasted some kind of glue on a apple to attract apple maggots. What kind of glue did you use? The sticky product that was used to spread over the apple is called Tanglefoot. We’re sorry we were not able to provide the specific product name in the episode. If you’d like to order this product on Amazon or just learn more, here is our affiliate link. Mary, Japanese beetles are hard to eliminate organically. My best suggestion is to use neem oil as a repellent. It’s not an insecticide that will kill them, but it can greatly reduce their populations on your plants and trees. The key for you will to be sure you have a way of spraying the oil so that it coats all the leaves of your trees. As they get bigger, this becomes harder to do obviously. The other organic option, which I shudder to suggest is the common Japanese beetle traps. I don’t advise using them because they are so effective at attracting the beetles, they likely draw in more than would normally be there. However, they certainly work. Perhaps if you must, placing such a trap far enough away from your fruit trees will divert them to the trap instead of your trees. I wish I had a better option. Good luck! I have found that the varigated grape vine (ornamental) on our property keeps the Japanese beetles off of the other plants. You might try this. 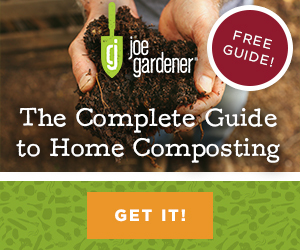 What is the best way or product to get rid of nematodes in the soil? I have tried several times to purchase the worm casting tea kit shown on one of your shows, but it does not seem to be available through this web site. Could you please tell me where to purchase this product? Right Judith. At this time, we don’t sell other products on our site but we often provide links to where you can go and get what we talk about on our episodes. Which is what we did for the worm tea kit you are asking about. That appeared in episode 112 and 218. 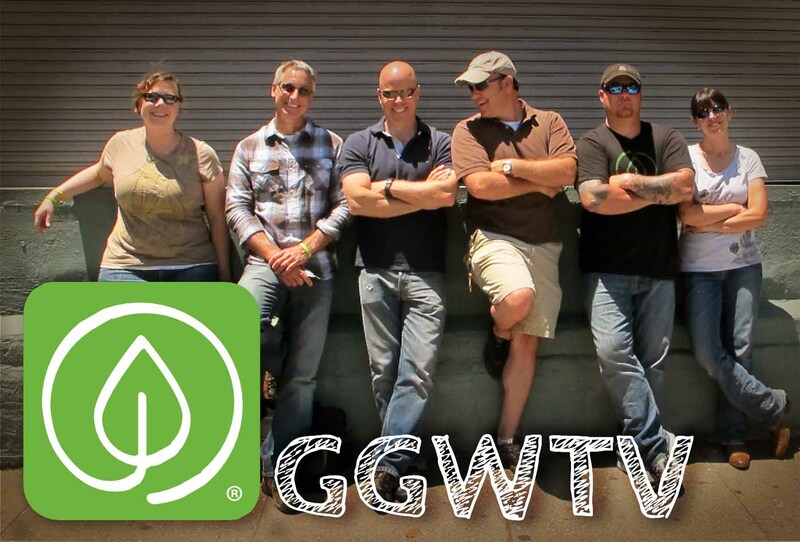 Here’s the link to the show notes. Scroll down and you’ll find the link that takes you to the website where you can purchase the kit. Good luck.